Total Athletic Therapy: Study Spotlight: Is a High Protein Diet Bad for You? Study Spotlight: Is a High Protein Diet Bad for You? The topic of a high(er)-protein diet is one that is near and dear to my heart as I recommend it to pretty much everyone, regardless of their goals, and I myself have also subscribed to this dietary strategy for a LONG time. There are a lot of misconceptions when it comes to a high protein diet. A lot of health professionals will tell you that lots of protein can damage your kidneys, or excess protein is just converted to fat or you can only absorb 20 grams of protein per serving....blah blah blah. A lot of these misconceptions are predicated on old or poorly designed research that simply is not true. A recently published study dug into this topic and laid to rest some of the aforementioned misconceptions. Researchers designed the first randomized cross-over design clinical trial examining the effects of a high protein diet on indices of health and body composition in a trained population. They had twelve healthy resistance-trained men complete a 16 week dietary intervention. During an eight-week period subjects were randomly assigned to first consume a high protein diet of >3 grams of protein per kilogram of body weight per day. Just to put this in perspective, the RDA is 0.8 g/kg/day for general population (which I think is low but that's beside the point) and the International Society of Sports Nutrition (who published the article) recommends 1.4-2.0 g/kg/day for active individuals in their Position Stand on protein. So the experimental value of 3 g/kg/d is quite high. Following the 8-week treatment period (high or normal), subjects then followed a "normal" protein diet (or high depending on which treatment they completed first) which consisted of 2.5 g/kg/day (still quite a bit higher than the RDA value) which was their regular protein intake. Each subject was assessed as baseline and after each 8-week treatment period for changes in body composition and markers of clinical health (i.e. lipids, kidney function etc). The high protein diet group ended up consuming significantly greater amounts of protein (3.3 vs. 2.6) which is to be expected. The high protein group also consumed significantly more calories as a result of the increased protein intake but similar amounts of carbohydrates and fat. No changes in body composition or markers of health in either group were observed. There were no clinically relevant side-effects (i.e. changes in blood lipids, glucose, kidney function etc.) regarding the higher protein intake. So, what can we take away from this study? Despite what a lot of people may think, a high protein diet, and in this particular case it was really a matter of a high vs. a really high protein diet, does not appear to negatively affect one's health. 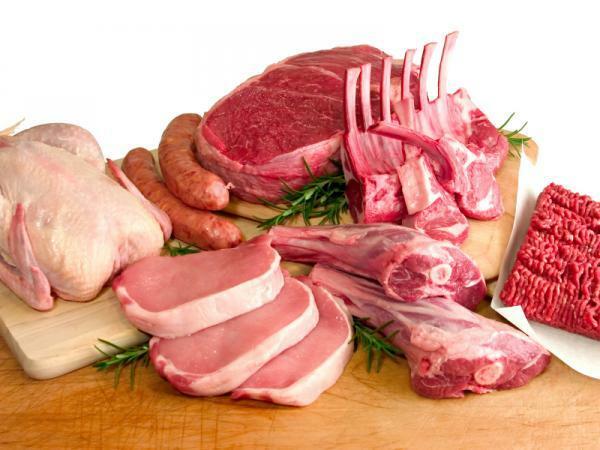 A high protein diet does not seem to cause kidney damage or liver failure. Granted this was only a 16 week intervention which is far from a 30 year high protein diet but from this study we can conclude that shorter duration high protein diets are in fact safe. Also, the assumption that excess protein will just turn into fat does not seem to hold true as there were no significant differences in body composition following the different diets. Although, at the same time, you could argue that more isn't necessarily better when it comes to increasing protein intake for the goal of increasing muscle mass. Specifically, going from 2.6 to 3.3 g/kg/d does not translate to greater increases in lean muscle mass. I think going from 0.8 g/kg/d up to 2.6 would make a substantial difference but there appears to be a threshold somewhere around the 2.0-3.5 g/kg/d range. So, save your protein money if you are already hitting the 2.6-3.3 g/kg/d range as more might not mean better.